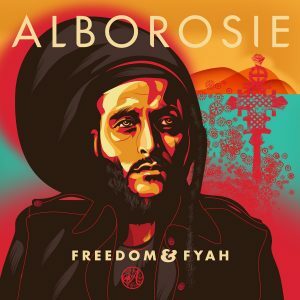 Alborosie New Album : Freedom & Fyah OUT NOW! Reggae music is no longer confined by race, skin colour or nationality. It always did have a global message, but the culture that it represents has now extended way beyond Jamaica. Alborosie’s success is symbolic of this new spirit sweeping the reggae world. Not just because of his knee-length dreadlocks and fluent patois – learnt from having lived in Jamaica for over a decade – or the revolutionary songs and deep, heavy roots rhythms that have become his trademark. Poser is one of two former hits included on the album. The other is Rocky Road, although this version’s different from the single. 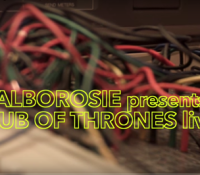 The video portrays Alborosie as an old man, complete with grey beard, watching footage of himself as a child and then a young man before an imaginary son and grandson put in an appearance. The message is profound and yet he can still be playful, even when expressing fundamental truths like the cycle of life and death. 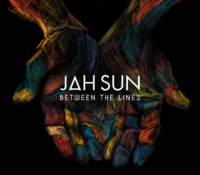 Elsewhere he delivers uncompromising Rasta lyrics, as heard on blazing roots tunes like Can’t Cool, Judgement and Cry, which derides the gunmen who’ve turned Kingston’s inner city communities into killing fields. On Rich he warns that money doesn’t bring happiness whilst Everything recalls the early eighties, when rhythms by the Roots Radics ruled the dancehalls. Working out of his own Shengen studio, nestled in the Kingston foothills and surrounded by vintage audio equipment, as well as the latest computer technology, Alborosie is a master when it comes to bringing the old school back to life – not by copying what’s gone before, but by reimagining it for today’s audiences. He’s done this successfully throughout his career and whilst he’s now widely celebrated for it, this hasn’t always been the case. Bashment dominated the charts when he began developing his own sound, and local producers insisted that his authentic style of reggae music was just for Europeans. they told him, only to see the likes of Chronixx and Protoje change things round, and for roots music to become popular again. 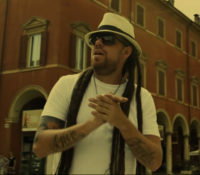 “Pupa Albo” was a forerunner of what’s been described as “Reggae Revival” and Protoje now joins him on Strolling, which Alborosie likens to a reggae-style Western. Ky-mani guested on Alborosie’s debut album, and they later reworked a handful of Bob Marley covers together. Their latest duet is an original love song called Life To Me that’s wrapped in choral harmonies, and has tender lyrics praising the special women in their lives. 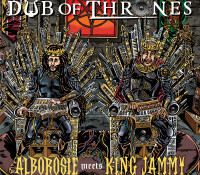 Ky-mani and Protoje are both major talents, but Alborosie also has a reputation for promoting up-and-coming artists such as Sandy Smith, who is one of his regular backing singers. Her bestknown hit is No Joking Thing, which Alborosie produced in 2013. His other surprise guest is also Jamaican, although few people outside of Alborosie’s inner circle will have heard of her. Sugus features on Zion Youth, which is a rallying cry for today’s Rasta warriors and also Fly 420 – a track that is the perfect synthesis of traditional reggae and more progressive styles such as dub-step. Alborosie’s travelled far since arriving on the island in 2001. It was early singles like Kingston Town and Herbalist, recorded for his own Forward label that gained him recognition in grassroots circles, but his stature has grown immeasurably since signing with VP Records / Greensleeves in 2009, and recording the classic Escape From Babylon. The cover of that album depicted him leading musicians of all nationalities from the ruins of modern civilization, and pointing the way forward like Moses leading them to the Promised Land. Eight years later and a similar vision’s evoked once more in the words of Jamaican preacher the Reverend Rohan Treleven, who delivers a stirring speech at the onset of Freedom & Fyah.